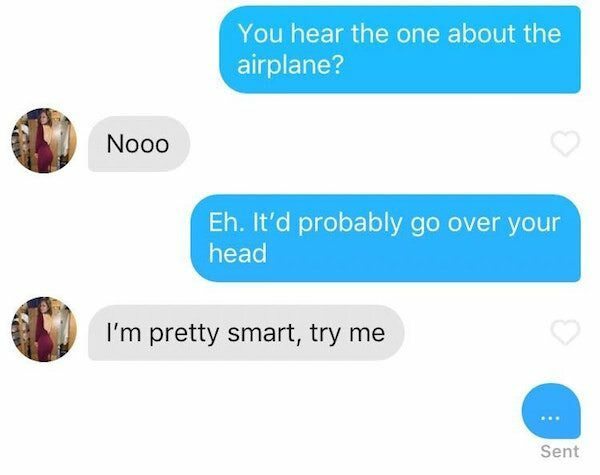 You hear the one about the airplane? Nooo. Eh. It'd probably go over your head. I'm pretty smart, try me. Funny text sms conversation.